12 years ago, theBean had a dream – to start a preschool in our church. With the help of a dear friend & a lot of hard work (& through too many twists, turns, & versions to mention,) it is thriving & is functioning far beyond anything I could ever have imagined. She (& her team) rock. About 2 weeks ago, most/all of the Kindergarten-age kids transitioned out of the preschool & into “the Real World;” at the same time, the school has had an influx of kids (babies through age 5) that has not only kept our enrollment up where it was at the end of the last school year, there are actually more kids currently attending than at any other time in our school’s history. Very cool to see. The SCREAM IT FROM THE BACK PORCH test – (patent pending). It’s pretty self-explanatory. You yell the full name, out loud, outside & then listen to what you said. Many things in life can be avoided by simply Saying Them Out Loud before you do it. Think on that. 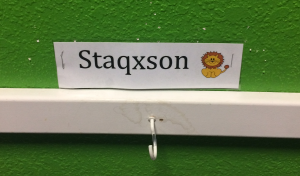 The KINDERGARTEN FRUSTRATION test – I figured when my kids were in Kindergarten, they probably had enough issues to deal with other than trying to spell out a long, unusual, elaborate name (esp. if it was something many adults couldn’t spell.) We avoided this with my daughter because she went by Weezer, Weezie, or theWeez for the 1st 12 or so years of her life. Anyway – should be an interesting school year. The Monday Morning Church: Out of the Sanctuary, & Into the Streets – Jerry Cook – in a nutshell, this book explores what it could look like if every person who follows Christ would pray, think about, & then act as if they were doing what Jesus would be doing, if He were walking in their shoes, in their world. Because, in essence, that is EXACTLY what our mission is. And we are all little pieces of JesusEphesians,, & we all know how much the people of our world need that. It’s also a study through the letter to the & it is a (30 years later) sequel to Love, Acceptance, & Forgiveness. A Long Obedience In the Same Direction – Eugene Peterson – this ThoughtFormative gem is a breath of fresh air & a slice of real-life Christianity on the topic of discipleship – the process of becoming like Christ. Life w/Christ is NOT all emotional, “on-fire,” mountain-top experiences where it seems God is SO close, all the time. Many times, it feels like God gives us an encouragement, a direction to head in, & then… nothing (real or perceived.) It details the need for perseverancea never give up, never surrender , a stick-to-itiveness, life outlook (ala, Isaiah 50:7). The clincher for me is the quote Peterson used for the name of the book: The essential thing in heaven & earth is…that there should be a long obedience in the same direction, there thereby results, & has always resulted in the long run, something which has made life worth living. Friedrich Nietzsche, Beyond Good & Evil. The Chronicles of Narnia – C.S. Lewis – These kids classics from CS Lewis were the 1st real books I can remember reading through. I immediately think of a quote from the 1st book, The Lion, The Witch, & The Wardrobe, in reference to Aslan, Lewis’ Christ figure: “Aslan is a lion- the Lion, the great Lion.” “Ooh” said Susan. “I’d thought he was a man. Is he-quite safe? I shall feel rather nervous about meeting a lion”…”Safe?” said Mr Beaver …”Who said anything about SAFE? ‘Course he isn’t SAFE. But he’s good. 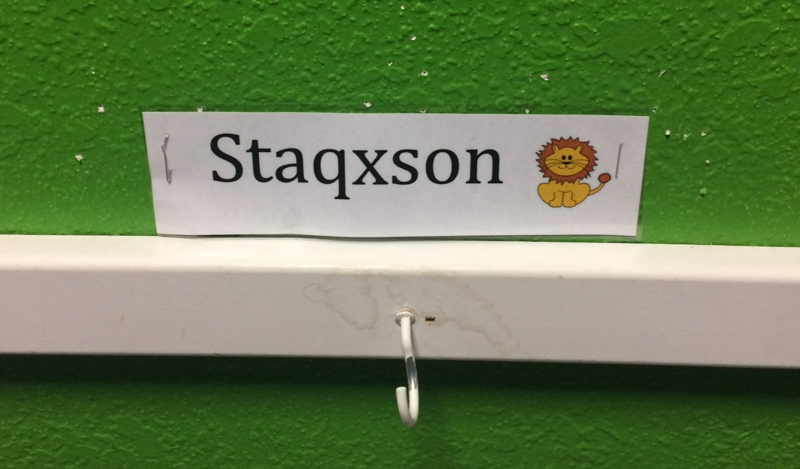 He’s the King, I tell you.” Reminds me that Christ is NOT a Christian bookstore bumper-sticker version of Himself, easily grasped, understood, & known in His entirety. He is fierce. He is gentle. He’s not safe & life following Him is anything but… But He is GOOD. A Wrinkle In Time – Madeline L’Engle – A phenomenally written book (series) with a conflict of good & evil, where power, intimidation, & hate are overcome by love. Love, Acceptance, & Forgiveness – Jerry Cook – This book transformed my (warped/undeveloped) view of Church & the purpose for her existence. It isn’t about building a big gathering. It isn’t about celebrating a few talented individuals. It isn’t a social club. The Church are Jesus’ ministering representatives on earth, meant to guarantee His love, acceptance, & forgiveness to EVERY person encountered. Sometimes people had an issue with this stance, believing the Church instead was supposed to take a STAND for righteousness, making sure to “love the sinner & hate the sin,” etc… What gets missed in that kind of a STAND, is that people will fall through the cracks because they don’t measure up to be able to enter such an institution. That kind of a STAND makes the Church a little more exclusive, a little more ‘holy’ than Christ intended it to be. (By ‘holy’ I mean the Church not associating with the kind of people with bad reputations & obvious sin issues… the very people Christ came to save.) Jerry said: “Love is NOT license. Acceptance is NOT agreement. Forgiveness is NOT compromise.” This book started a life-long journey for me, a life of practical, applicable, LIVED OUT Christ-likeness. And one of my life highlights happened on my birthday a few years ago, Jerry told me in front of the church I pastor, “You, Louie, are a little piece of Jesus. And you live this love, acceptance, & forgiveness as good as anyone I know.” I will never forget that. And it inspires me to keep living it. What books have been the most ThoughtFormative to you in your life? This Easter season has been a significant one for me – it started with a Holy Spirit-directed rediscovery of the significance of Christ’s suffering & Good Friday, & it continued with the waiting, uncertainty, & anticipation for the coming Resurrection Sunday. Coming out of Easter Sunday, I have been asking the LORD what & where He would like to work in me (& at Hillside.) What has continually come to mind has been the time period between Easter (the Feast of Passover) & the outpouring of the Holy Spirit on the church (the Feast of Pentecost.) I was drawn to Acts 1:1-11. Go back to Jerusalem. Wait for the promise. And then, you will receive the Holy Spirit – & when you do, you will receive power to be witnesses for Christ. Over these next weeks until Pentecost Sunday, our Sunday studies will be exploring what it means to wait, as well as different facets of what it might look like, to us individually & as a church, to wait & then, when it’s time, to act in Holy Spirit empowered actions. I’m looking forward to it. During this time where I’ve got ‘waiting’ on my mind & heart, I’m revisiting “A Long Obedience…” & inviting our Hillside Learning Community reading group to join me in reading through & pondering the book (& these Psalms, in depth,) & then join together to discuss what God has been speaking to & forming in us. Just finished going through Scazzero’s “Emotionally Healthy Spirituality” again. Check it out if you haven’t. Generally speaking, people don’t have a reference point on how to process through strong, negative, &/or inconvenient emotions. We feel out of control, unsure, anxious, & guilty… & as a result, stuff those emotions in a locked,dark room in their souls that they never plan to visit again. Several people found it helpful to go through a process to get a handle on their emotions; this includes taking the time to experience/feel the emotion, to invite God into the process by asking for His take/His input through reflection on what we’re feeling, then to express those emotions in manner than honors God, that doesn’t sabotage/hurt ourselves, or wound/cause injury others. Christians don’t know how to grieve, mourn, or process through life’s losses. Not just the big ones – like death of a loved one, catastrophies, like war & acts of terror, divorce & infidelity, among others,- but also other losses, like the change in a friendship when someone moves away, the disruption of relationship when a person leaves a church, & even things that look/feel like a POSITIVE change, like graduation from school, or an adult child moving out on their own. Instead, quite a few people deal with loss through denial, avoidance, blaming others, minimizing the loss, rationalizing why the loss isn’t so bad, or developing an addiction (to avoid & numb the pain). The most common way of running from loss that came up in our talks was using God to hide from grieving – this could look like quoting Bible verses, “We don’t grieve like those who have no hope…” as though that is supposed to address the hurt & pain we feel. It could be like offering up words we’ve heard before, like, “The Lord moves in mysterious ways,” or “God must have needed another angel in heaven,” or my favorite, which I have heard from more than a handful of people in response to my own grief at my brother’s passing: “God must have known He was going to fall away into sin in the future, so He took him home now.” Not only do those phrases not help, they don’t accurately portray God as He is revealed in Scripture & in Christ’s incarnation: as predictably, consistently good. And ultimately when people said them to me, I wanted to punch them in the neck. Getting our thoughts out on these topics & talking with safe people helps. I was amazed at how significantly people were impacted as they listened to others, heard that their own story/feelings/experience isn’t unique or weird, prayed together, & spoke words of encouragement to each other. There’s probably more, but those are the biggies that have been bouncing around my head for the last couple weeks. Jerry Cook has a new book coming out in the next 8-12 weeks. He’s the writer of a couple of my favorites, including, “Love, Acceptance, & Forgiveness,” and also, “The Monday Morning Church.” The next one is called, “So… What’s The Big Deal? Six Events That Changed The World”, & it is written in response to being asked this question: “So… what’s the big deal about the Holy Spirit in the life of a Christian?” I have seen a rough draft of the book & I will tell you this – when it comes out, I’m buying a case of them to give away. Great & practical theology communicated in a manner that a Jr Higher could “get.” Be on the lookout. The LORD is my shepherd… & I’m discontent? I was reading over Psalm 23 this morning… it’s familiar. I memorized it when I was small. I know that its good to know scripture – at the same time, I have found that I have to make sure not to just know it in my head but to also let it sink to my heart. If it’s in my head, I can recall it, remember it, think about it. And then when I’m done & off to the next thought, the Scripture goes back into the file in my head & is put away in its virtual filing cabinet until the next time I come across it. If it’s in my heart, I live it. It affects me at the deepest level of my being. It becomes like a handy-dandy smart phone app, perhaps invisible but still actively running below the surface, having a definite influence. Back to Psalm 23 – The LORD is my shepherd; I shall not want. David wrote it – he got it at a gut level – he had been a shepherd, & he knew intimately of the similarities between what he had done, & what God did with him on a daily basis. So David’s declaration of The LORD is my shepherd; I shall not want, is a faith statement – rooted in thankfulness – contentment. There was nothing that God had not, did not, would not make sure that David would get if he was in need. And from his self-assessment, he wasn’t lacking anything. This hit me hard. The LORD is MY shepherd. He is the One who cares & provides for, protects, directs, instructs, heals, & feeds – ME. But when I read the second part after the ; the I shall not want, I realized there were/are areas in me where the ugly stuff resides – rather that being able to see where God is shepherding me well, & that I am not in lack, want, or need – instead, my soul is striving; discontent; frustrated; needy; ungrateful; blind to God’s faithful & miraculous care for me. Ouch. All that, revealed in a moment. I know Psalm 23. But is it in my heart today? I repent. Reorient. Return. Ask my shepherd to pick the thorns & stickers from my soul. Right now I intentionally choose thankfulness. Contentment. Gratefulness. Awareness of God’s work in & around me & mine. The LORD is my shepherd; I shall not want. And I mean it. PS – If you haven’t already, check out Margaret Feinberg’s Scouting the Divine – her investigative exploration of a real life shepherd, bee keeper, and vintner (wine maker) offer profound insights into three of the more prominent images/metaphors used in Scripture. The book (and the stories contained within) have transformed my understanding of some very familiar Scripture. You can also watch Margaret HERE presenting on the topic at the 2012 Foursquare Convention a few weeks back. -Sometimes the act of articulating something negative causes it to balloon, both in size & scope. -The more I look for positive, encouraging thoughts to think on (& words to express) the easier they come. -Praying through the Psalms is an incredible way to test the heart. Last week, theBean & I were blessed with a ‘sponsored’ trip to Tucson – a friend flew us down & put us up in a hotel for 2 nights so we could participate in a “Worship Summit.” It wasn’t a conference; it was a gathering of about 35 people, meeting, eating, hanging out, & worshipping together in a home that easily accommodated us. The last night, a couple prayed over theBean & I – many of the things they prayed & encouraged us with were things that God had shared with us before, both as a couple & personally. It was amazing to know that God knows our current life situation, & even better that He would use another person to (unknowingly) remind us of many of His promises for our lives. I came away with layers of weariness stripped away from my soul. Good times. When I was but a lad of 16, I had two of my four wisdom teeth out; don’t really know why they didn’t take all four, only that for the last 26 years, I’ve been wrestling with the growing irritation on the right side of my mouth. TheBean’s insurance through Starbucks has been a God-send… & has allowed us to take care of many dental/medical/vision things that we hadn’t been able to do… Monday was my day for my teeth to come out. After I came out from under the anesthesia, I asked the dental assistant if I’d said anything interesting during the procedure; she just said, “You must really like the 49ers. You told me more about them in the last 40 minutes than I ever wanted to know. Ever.” Ah. I am a 49er fan. Go figure. On that note, I cannot wait for Harbaugh v. Harbaugh – 49ers v. Ravens. Thanksgiving Day. Night. Booyah. TheBean has just begun the 2nd phase of her training to become an Assistant Store Manager (ASM) – this has necessitated a move from the Starbucks nearest our house to the one at Northtowne. If you happen to be in the neighborhood, stop by & say “Hey, theBean!” She always appreciates smiling faces. Its her favorite. Her schedule is occasionally tough in that it is opposite of mine – working afternoons & evenings to ‘close’ which sometimes ends up about 10:45 p.m. Even though she’s the one doing the work, I find that its easy to feel sorry for me, sitting home, holding down the fort, interacting with the kids, doing school (& house) work, waiting. I’m challenged to find my peace in Christ – to learn to be content, even in a non-optimum situation. To be thankful for God’s provision & working in her life, for the favor that she has been shown. Knowing that this, too, is just for a season. And that I have an invaluable opportunity to nurture a relationship with iDoey & theWeez… & to grow in my dependence on the LORD. Plus I can catch up on my ‘for fun’ reading. Which reminds me. I was given the book “The Cloister Walk” by Kathleen Norris. It took a couple of weeks to find the time to get started, but once I did, I’ve had a hard time putting it down. Quirky book. Thought provoking. Reminds me of what got stirred up in me while reading “the Ragamuffin Gospel” by Brennan Manning. No formulas for life; no pat answers. No clichés. Just God’s faithfulness & goodness in the face of the challenges that life inevitably brings, & reminders that He has promised to finish the good work He’s begun in me. And for that, I am thankful. I don’t think I’ve ever anticipated baseball’s Opening Day like I have this one… this one is special – because I get to say (& hear repeated over & over by announcers & play-by-play commentators) “the World Champion San Francisco Giants prepare to defend their World Series title…” Nice. And today its against the Dodgers. Fitting. Why, yes. I HAVE been blogging more. The reason? I’m in the middle of a project. A few friends & I are writing a devotion/response for every chapter in the book of Acts – started a couple weeks back in the middle (Acts 15,) & worked through Acts 28. Then, I’ll take the next couple of weeks to finish Acts 1-14. All of my thoughts for this project are showing up on this blog, so if you read it, you already have seen some of them. What happens when we’re done? Good question. We shall see. Choosing words carefully… I’d say that this book presents a reinvented, reinterpreted, more ‘palatable to the masses’ christianity. Love, as an attribute of God, is elevated above & seen almost exclusive from all of His other attributes, & therefore provides the canvas for the reinvention. e.g. “Because God is a god of love, we can know that hell isn’t permanent or eternal, & that ultimately even the hardest hearted individual won’t be able to resist God’s love, & will be saved.” And it seems that any time there is a mention of God’s judgment or addressing the consequences of sin in the book, what is presented is a small, twisted caricature of a ‘little g’ god, not the God revealed in Scripture & in Christ. After I finished the book, I read a couple of reviews from people that had actually read the book – here’s one that is pretty thorough & isn’t mean-spirited, antagonistic, or an ‘anti-Bell’ diatribe. What we believe about God matters. The cross matters. And this isn’t one of those topics where we can just say, “I guess nobody really knows, & everybody has an opinion, & everyone’s opinion is just as valid as the next…” We have Scripture, & we have Jesus’ words on the subject of both heaven & hell. Simply because in our oh-so-enlightened 21st century the idea of hell is distasteful & repugnant to many doesn’t mean we can validly redefine & re-imagine it (& God. & Christ. & the Bible. & the cross,) to better fit our own, more ‘appropriate’ world-view. Sigh. TheBean is down to one job – officially doing Starbucks & only Starbucks as of last Saturday, 3/26. To say I am a little excited would be an understatement. Saturday nights are now free. Evidently, the Glowing Orb will be especially bright & warm the next couple of days. And then we get rain, clouds, & coolness on Saturday. I love Reno. Sweetness. We get to go to Reed High tonight to tour it with theWeez. Tomorrow, she gets to spend the day there for a soon-to-be-a-Raider-freshman-orientation. Yes. TheWeez is on the verge of High School. Coffee calls. Enjoy your Thursday. The first couple of times I heard it, I was in Germany; once in downtown Frankfurt, once at the youth hostel where we were having the pastors’ conference. I attributed it to the general state of unchurched-ness of The Fatherland. Silly me. And then in the last 10 days, I’ve had similar conversations here at home, at Starbucks, the new & improved Great Basin Brewery, & even in the parking lot at church. All people bemoaning the probable (& most certainly horrible) outcome of their crossing the threshold of the church building. most had funky ideas about God & His character. A couple thought that somehow, someway Fred & the family Phelps are accurate representations of God’s heart for people. Most expect church to be a place of self-righteous nitpicking, & an endless barrage never-measure-up condemnation & accusations. A common thought was seeing self as Excluded. Beyond help or rescue. Not seeing how they in their uniqueness could or would fit in a ‘church world’ that is perceived as mostly irrelevant to ‘real’ life. You may be the only church a person goes to, & may be the only Bible someone reads. For me, it speaks to the need to live in a way that accurately & faithfully reflects Christ’s love, acceptance, & forgiveness – & a love that meets people right where they are. And it reminds me a bit of a post my friend Tim wrote not long ago about getting the church to people. I’d love to be able to soften the blow to my precious theWeez, to somehow make this situation better… but I can’t. She’s getting a chance to experience, up close & personal, that just because someone is an adult in their 30s, there is no guarantee that they’ve ever really grown up. Oh, & Coach N, theWeez is on to you. And she is not amused. December, where are you GOING in such a hurry? Stop, sit a spell, & hang out a while. iDoey is in the final week of preparation for his Christmas holiday extravaganza – a song & dance-fest put on by his show-choir-type group called Intermezzo. I’m amazed at the preparation this group of 40 students puts in, & am thankful for the dedicated coordinator & the staff that makes this so much fun for my boy. Thanks Mr. Lorentzen! Ahh. Pondering greatness: The San Francisco Giants are STILL the World Series Champions. Ahh, jetlag. The 12 noon feeling of blah, where my body is telling me that its really 3 a.m. Fought it hard both in Germany, & now at home. Not that I have a great ‘fixall’ short cut or method for dealing with jetlag; I’ve been trying to fly under the radar for the last couple of days to give myself time to rest & recover from my trip. There’s a lot of temptation to try to hit the proverbial ground running, but it just didn’t seem like a good idea. Part of the reason is that I came back with a bit of the crud – seemed like everyone I interacted for the last 2 weeks was sick with a cough. Mine hasn’t gotten bad, though I can feel the war within my body, & also have the sense that it wouldn’t take much ‘pushing through’ & ignoring my physical limits to open the floodgates for sickness. No thanks. I’m almost feeling normal in the morning. I love to read, especially when I’m traveling – this last trip, I was able to make it through Lord of the Rings, Kidnapped & Treasure Island by Robert Louis Stevenson, 4 George MacDonald shorts (The Princess & the Goblin, The Princess & Curdie, The Light Princess, & There and Back.) I read Tolkien on every Germany trip, (it just makes sense to me :) but I haven’t read MacDonald for years & years. Glad I revisited him; especially loved the Princess & Curdie. Felt like I spent time with a couple old friends, & came away refreshed with a new appreciation for them. Traveling by myself provides lots of opportunity for reflection, thought, & introspection. And people watching. I think that you get to see the best & worst of people when they travel; the self-less & the selfish. The impatient & the gracious. The compassionate & the callous. A picture that stands out in my head is from the Frankfurt to DC leg of my trip home. A young mom had a 12-15 month old little girl with her, & the baby wasn’t happy… the kind of “baby unhappy” that comes from an interrupted schedule, a lack of sleep, & unfamiliar surroundings. Mom tried all the tricks in the book to keep her girl quiet, but the little one had had enough, & was past comforting. I watched as some in her vicinity went out of their way to make comments to her about getting her kid to shut up (if not directly, then loud enough for her…& me… to hear…) as though she wanted her baby to be in total meltdown. And I got to see a person volunteer to help with the baby so mom could go to the bathroom. Eat her meal. Have a good cry & regain her composure. Hmm. It moves me even as I type this. Challenges me to think & rethink my own life & viewpoint, how I see people & situations that are unfolding in front of me. Trying to remember that the world around me isn’t a movie set for a movie that I am the STAR of, with the rest of the human population serving as the supporting cast & extras… that there’s more going on than just what I see. Feel. Hear. Experience. This is especially true in the context of church & functioning within a church family. It’s possible to be ‘saved & redeemed’ self-consumed, self-focused, grumpy, petty individualists with no patience, & to treat those around me with indifference or frustration when they’re not doing what I’d like them to be doing. And when they’re not considering Me & My feelings, which are Real, Important, & Significant, don’t you know? Umm. My filters are on the fritz. Eddy picked up the new Samuel Harfst CD for me (us) while i was in Frankfurt. I have listened to it over & over for the last few days. Unlike audiotagebuch, this one is all in German. TheBean has been more than patient with my slow ‘rest & recovery’ pace of the last few days… so I agreed to go to Costco with her, with the provision that we’d go to Starbucks afterward… NEWSFLASH: Christmas is coming. Just in case you didn’t know. It was crowded (even at noon on Friday,) & there was so much noise, so much stuff, & so many people that I was wiped out after only 20 minutes. By a great feat of strength & skill, I managed to make it another 10 minutes, then we headed to the car, just in time. Fortunately, the Grande Americano revived my soul, as did looking into (& getting lost in,) the deepest blue eyes Ever. Sigh. Mostly because my confrontations with pride seem to take on an almost other-person-ly interaction… as though my wrestlings with pride aren’t internal, but rather external, taking place in conversations with self that contain an element of shock; the same type of shock at turning the light on in the garage when you’re taking the garbage out, only to discover a rat. Not a little mousey-mouse, but a big rat. There’s a “WHOA!” element to that discovery, & something more than distasteful. Repulsive even. That’s how I feel about discovering bastions of pride lurking within. I found her this time when I did something I haven’t done in many a moon: I slept through an appointment. I take pride in being on time. I take pride in remembering people’s faces, names, & phone numbers. I take pride in being able to remember & keep track of my schedule, both in my head & on my iPhone. I take pride in being prepared for multiple scenarios in which I’d need an alternate route & directions to get where I’m going. I take pride in other people knowing I can do all these things, & like it when they talk about my preparedness, my memory, & my punctuality. Hmm. Seems like I take pride a lot. I hadn’t been feeling very good, most likely due to keeping an overloaded, breakneck-paced schedule for three weeks prior… so I thought I’d take lay down for a short early morning nap (which would fall conveniently after my even earlier morning devotion.) Which would leave me plenty of time to rest, then get to my 9:45 appointment. Except for one thing. I slept until 11. I awoke in a stupor, which is a warning sign for me that the candle has been burned at both ends for too long… I looked at the clock… & couldn’t believe it. I had missed the appointment. Totally slept through it. So, being the melodramatic over-reactor that I am at times prone to be, I decided to take a complete inventory of my life. To measure, evaluate, & scrutinize my life, my calendar, etc. And also to repent. For getting caught up in the greatness of me. For subtly & quietly feeding my pride, letting her grow, nourishing & encouraging her development. Asked the Holy Spirit to check me out, search me for areas where pride & other infestations of destructive self-absorption may be lurking. Silly me. Over the last few months, I’ve been doing my devotions & Journaling (the SOAP plan if you’re interested.) Usually I do the journaling on my lappy, but lately I’ve gone retro, & am using my old-fashioned pen & paper… a real leather-bound journal even. I love the feeling of the pen in my hand, & the tactile sensation & smell of the leather/paper combo. Except today I couldn’t find My Pens. They’re mine because I purchased them special, just for me. I had placed them in My Spots (on my desk at work, by my sofa, & at theGiant Scofield table, so no matter where I am, I have a pen,) but there was no pen to be found. I know its only the 1st round of the playoffs, & that the mighty Phillies are waiting for the winner of this Giants/Braves series… but my team is in it. So, hoping beyond hope, I watch the games intently, often through clenched eyelids, thinking that maybe, this will be the year.